Available on the SGS website is the Milwaukee M18FAP180-0 Fuel Polisher which is perfect to use for polishing cars. The polisher can polish a full size car on just a single charger when working on moderate to good paint. The polisher can be moved around the car with ease due to no cables being attached to the polisher - its cordless which makes it lighter too. The polisher has a diameter of 180mm and has 8 position variable speed options that range from 360 - 2200 RPM. The Milwaukee Polisher is also available as a bundle which includes x2 batteries, charger, case and the polisher. Looking for a high-quality polisher? Milwaukee polishers are the best in their class and perfect for use on cars. 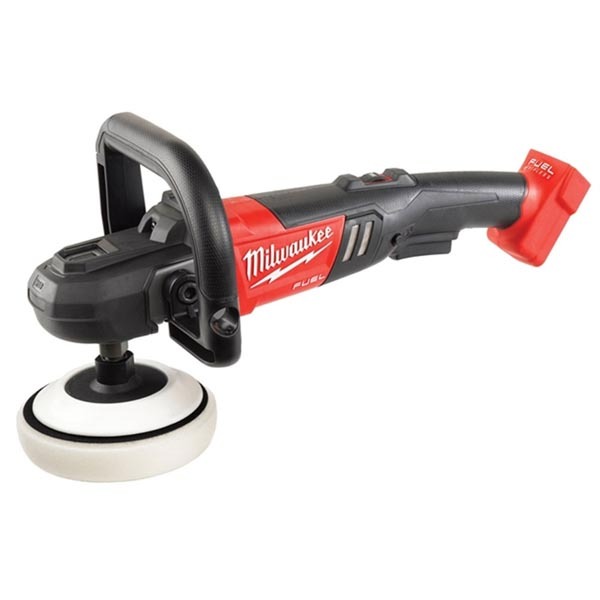 Whether you are an industry professional looking for a Milwaukee polisher that you can use time and time again or you are simply a motorist looking to give your car a thorough polish, the Milwaukee car polisher is sure to impress. As it is cordless, you can easily move around the vehicle and access difficult to reach areas. The lack of a cord also makes it lighter than other polishers too. The Milwaukee M18 cordless polisher is capable of polishing a full-sized automobile on a single charge and the polisher has 8 position variable speed options from 360 to 2200 rpm. The Milwaukee polishers utilise a best-in-class POWERSTATE brushless motor that delivers a powerful performance and longer motor life. This makes it a popular choice with professionals and amateurs alike. Additionally, when you purchase the Milwaukee polisher buffer from SGS Engineering, you benefit from a 3-year warranty. You can purchase Milwaukee 18v polishers and Milwaukee car polishers today from SGS Engineering and experience the superior performance for yourself. Customers can choose the Milwaukee M18 cordless polisher as a stand-alone device or as a bundle with the polisher, two batteries, a charger and a handy case.